CEDAR CITY — After a long battle, Canyon View’s boys soccer team fought back to beat Hurricane 3-2 in double overtime. The last time the two teams faced off, on March 22, the game ended in a 1-1 tie, so the excitement was high for the Falcons as they captured the victory at home Tuesday afternoon. The match came close to ending in a tie just like the first one did, but Canyon View’s Chase Hunter was able to score the winning goal in the second overtime. The Tigers’ two goals in regulation were scored by Hunter Neeley and Jake Reeve, both coming in the first half. Canyon View was held scoreless until the second half, when Hunter Talbot scored their first goal, assisted by Kellen Bowden. Then with minutes left in regulation, Bowden scored the Falcons’ second goal, tying the game and sending it into overtime. The first 10-minute overtime proved scoreless for both teams, so a second overtime was started, leaving 10 more minutes for Canyon View and Hurricane to fight for the win. With only two minutes left in the game, Canyon View’s Alex Mendes dribbled down the field and passed the ball to Hunter, who put in the winning goal, ending the game immediately. Canyon View is in the middle of the region standings, with wins over Pine View, Cedar and Hurricane. The Tigers remain winless and in last place. Both teams will play on Friday, with Canyon View facing Dixie and Hurricane facing Snow Canyon. In other Region 9 action Tuesday, the Dixie Flyers defeated the Cedar Redmen at Dixie, 6-0. Five different players scored for Dixie, led by Noah Wilkinson with two goals. Jacob Larkin earned the shutout for the Flyers, who improved to 7-1 in Region 9 play. Also improving to 7-1 on Tuesday were the Desert Hills Thunder, who earned a 3-0 home win over the Snow Canyon Warriors. 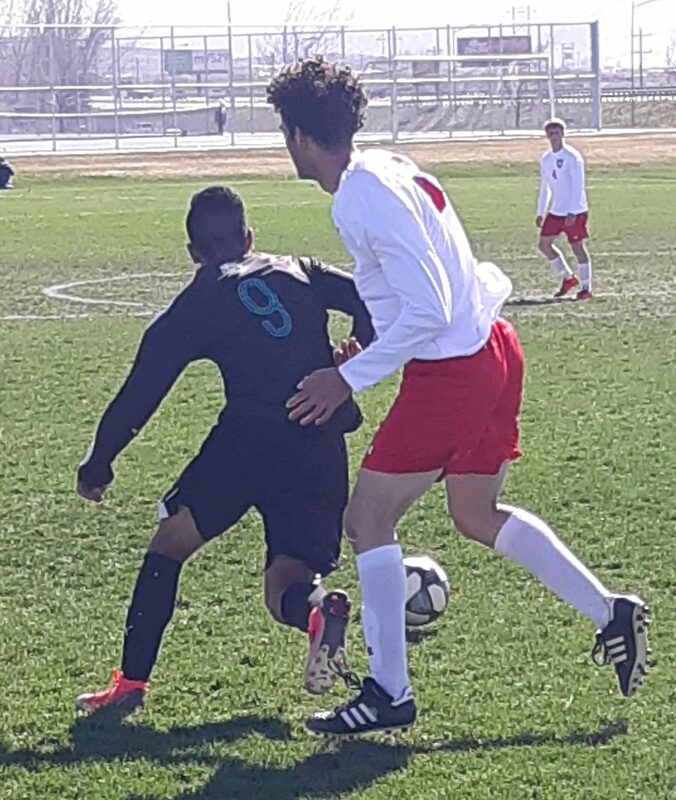 Ben Simister scored two goals for Desert Hills and Kai Klingonsmith added one, with keeper Preston Hodges getting the shutout. This week’s remaining soccer schedule is as follows: Canyon View will play at Dixie on Thursday at 5 p.m. On Friday, Desert Hills will play at Pine View and Snow Canyon will play at Hurricane, with both of those contests scheduled to start at 7 p.m.